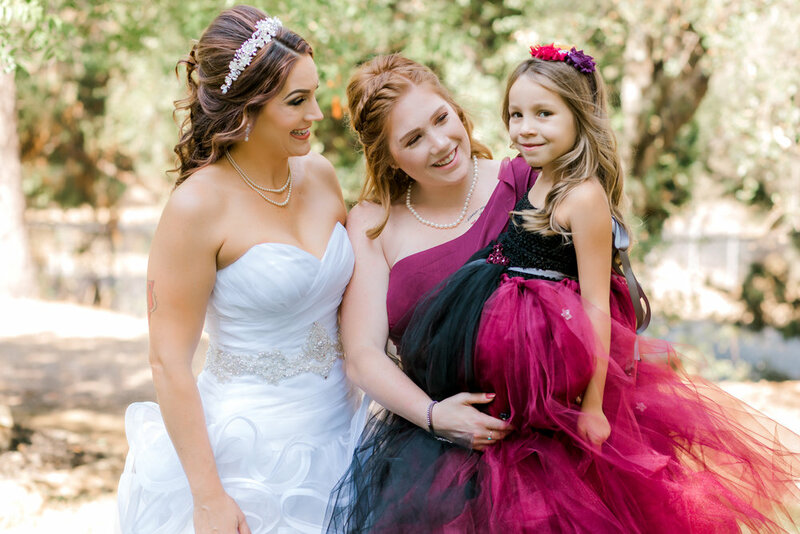 Maria and Bryce were married in early September in a small town outside of Placerville. The couple opted not to have engagement photos done, but I suggested we meet up a week or so before their big day at their wedding venue. I love meeting each couple in person before their wedding day. 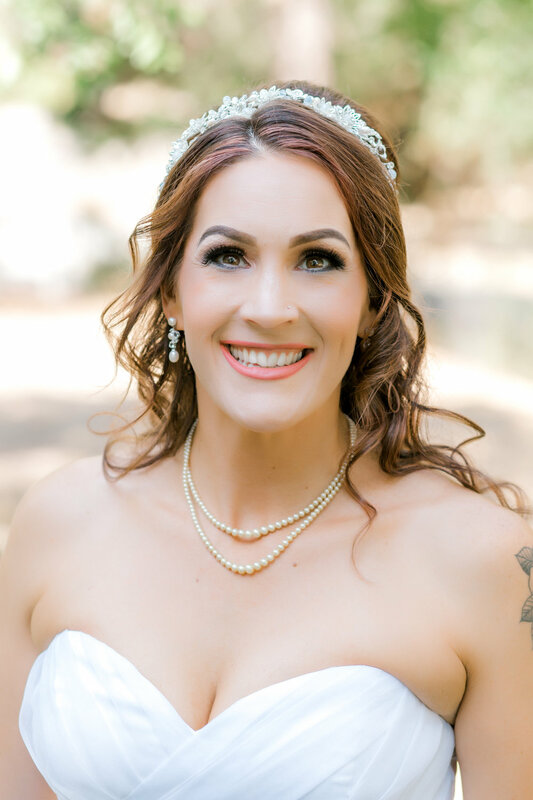 It gives me a chance to get to know them a little better, both individually and as a couple, walk through the venue with them, and talk about the plans they’ve made for their special day. And then when the wedding day arrives, the couple is more comfortable with me (which is SO important! ), and I’m more relaxed and excited as well. The soundtrack to the reception was today’s country music (I was in heaven — if you know me, you know I adore country music). 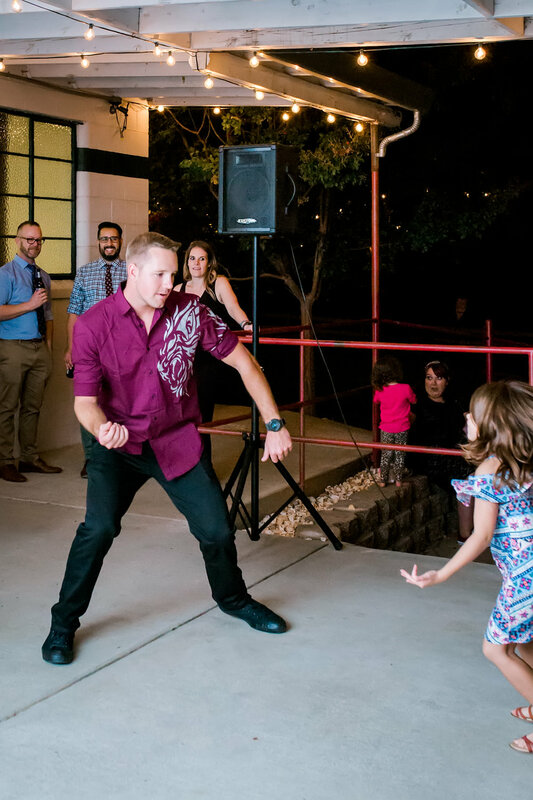 I enjoyed capturing the first dances, as I always do, but my favorite part of the reception was when one of the young guests, a girl of maybe eight, started a dance-off with one of the groomsmen. Both of them had impressive moves — it was awesome! They even started breakdancing…say what?! So cool. And then surprise! 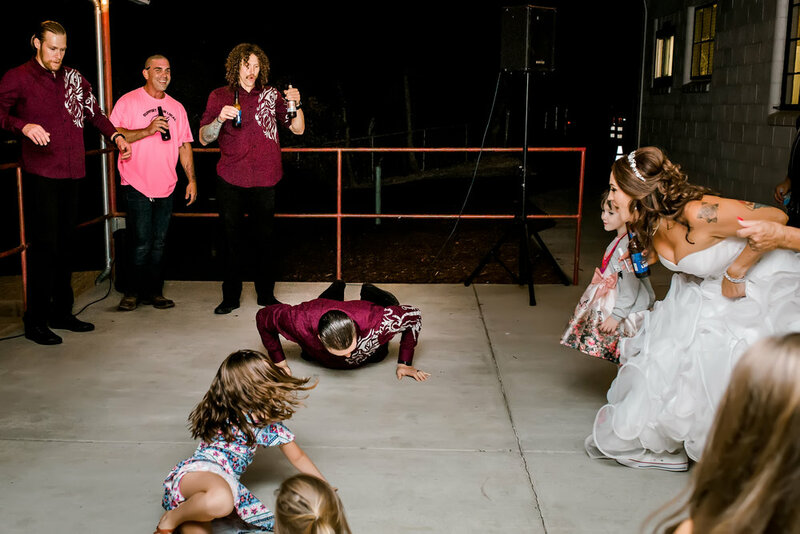 At the very end of the evening, as if not to be outdone, the groom broke out his breakdancing moves — and you guessed it — the crowd went wild!